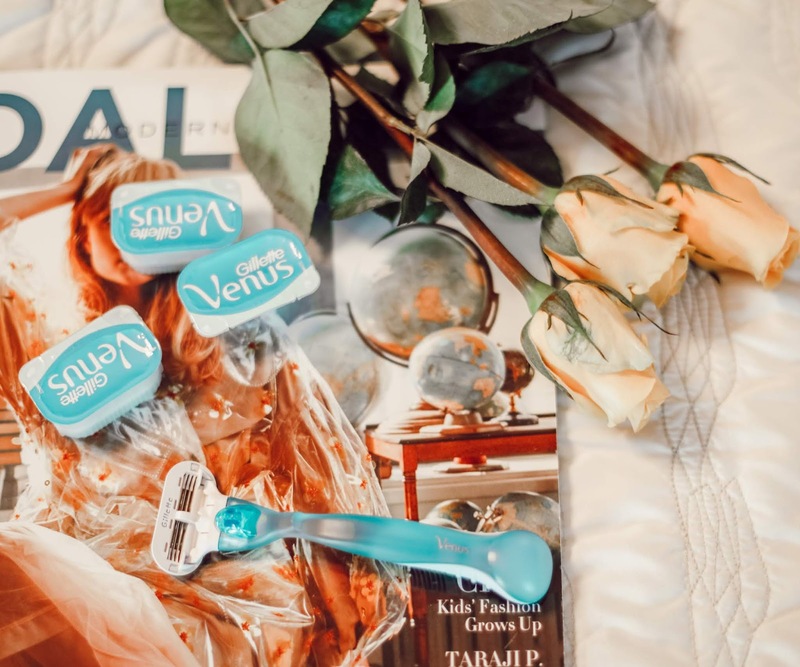 Thank you to Gillette Venus Razors for sponsoring this post, and to all of the brands that support Venus Trapped in Mars! All thoughts and opinions are my own! How lucky are we to live in a time when literally anything can be delivered to your door? You can have groceries, beer, prescriptions, clothes and of course, pizza. There are a few delivery services for me though that are more valuable than anything else. Things that I HATE going out and buying, don't have time to buy, or always forget to purchase then realize it's too late. 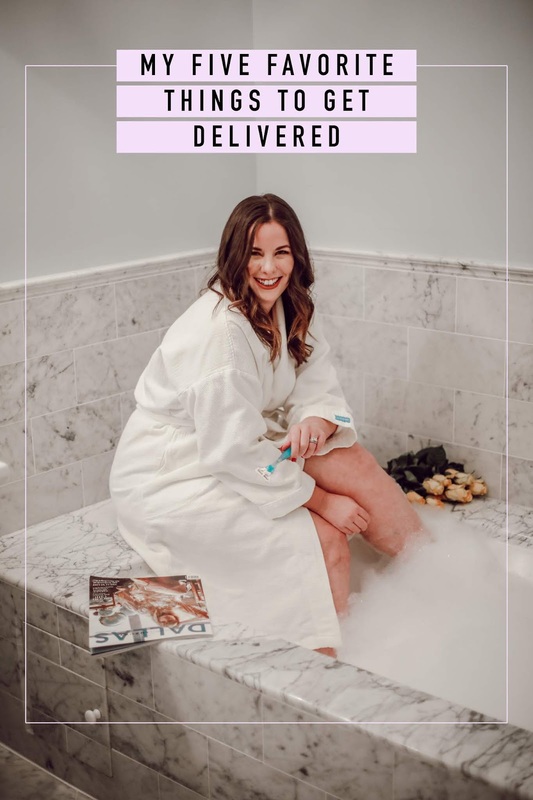 Today, I thought I'd talk about the magic of getting your favorite, most necessary purchases delivered right to your door. I'm picturing you with a cup of coffee rolling your eyes at me not even wanting to read because you think it's just going to be me listing pizza over and over and over again. While, yes, you're right, I have listed pizza below (it's me, after all) there are some pretty valuable services on this list! Side note: before I met Drew I used to yell PIZZA IS HERE to an empty apartment so the driver wouldn't think it was ALL FOR ME. And by "before I met Drew" I mean that was last weekend when he was out of town skiing. WHATEVER IT IS FINE. Let's hop to it, here are FIVE of my favorite things that I have delivered right to my door.... you know, because being out in public is VERY HARD. As if a blogger with the name VENUS Trapped in Mars and a dog named Venus would use any razor other than a Venus Razor! 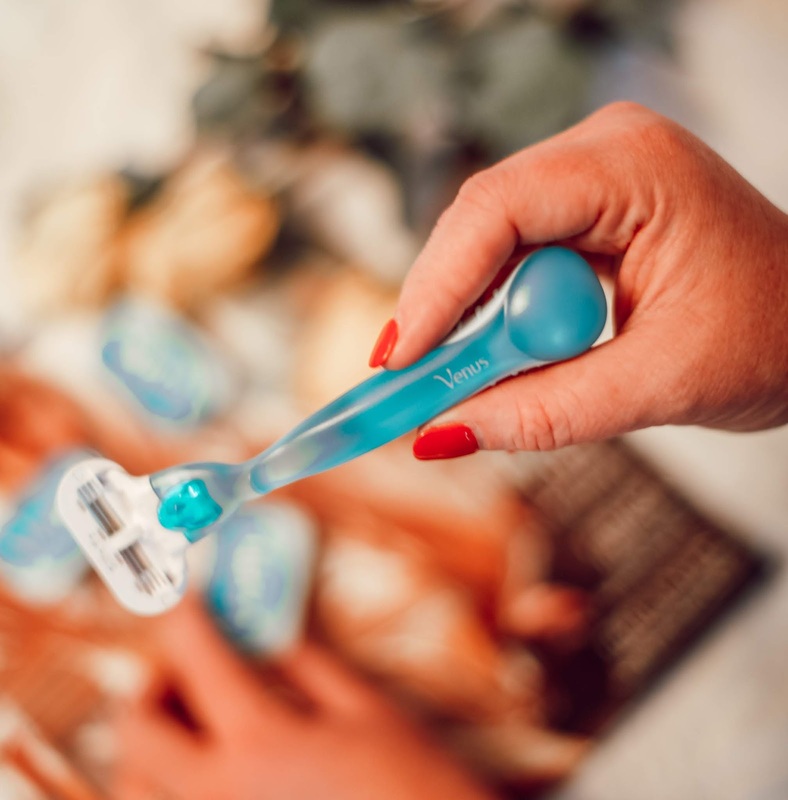 I was so excited to partner with Venus Razors today because - not a lie - I've been using this particular razor for nearly a decade! I'm SO BAD about using my Venus Razor for far too long because I keep forgetting to replace it. It'll slip my mind to pick it up at the grocery store, then I'm back in the shower again needing a fresh razor and I'm too late! This is not a problem any longer though, because Gillette has just launched Venus Direct where you can customize a three step process of selecting a custom handle, razor heads and extra features that are uniquely designed for and by you! I've been hearing about men's razor subscription services, so I'm THRILLED to learn about this for us ladies now! Plus, get this... all of our Venus handles fit all of our blade refills! For blades, you have your choice between original, white tea, extra smooth and Olay moisture. 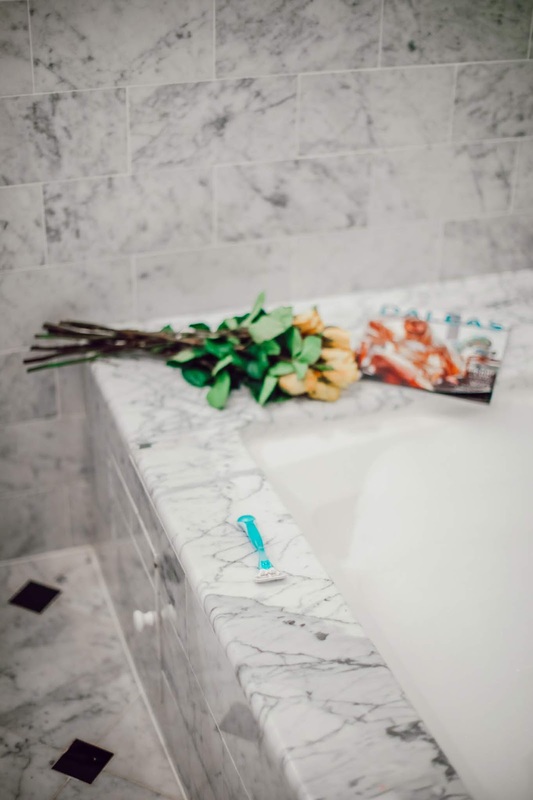 With one simple shave plan, you get your choice of stylish, high quality razors delivered to your door when you want them! The delivery is also free, and plans start at as little as $10 a month. It's so convenient, and even allows you to cancel at any time. I work downtown, which is really not near a convenient pet store. Finding a store that carries Veenie and Gee's particular dog food is SO DIFFICULT. Not to mention their bags of food are massive and it's a workout to lug around two giant bags. I put buying their food off for so long that I end up with major dog mom guilt when I feed them treats for dinner because they're out of food. Pass on the dog mom guilt and sign up for automatic dog food delivery from a site like Petco! 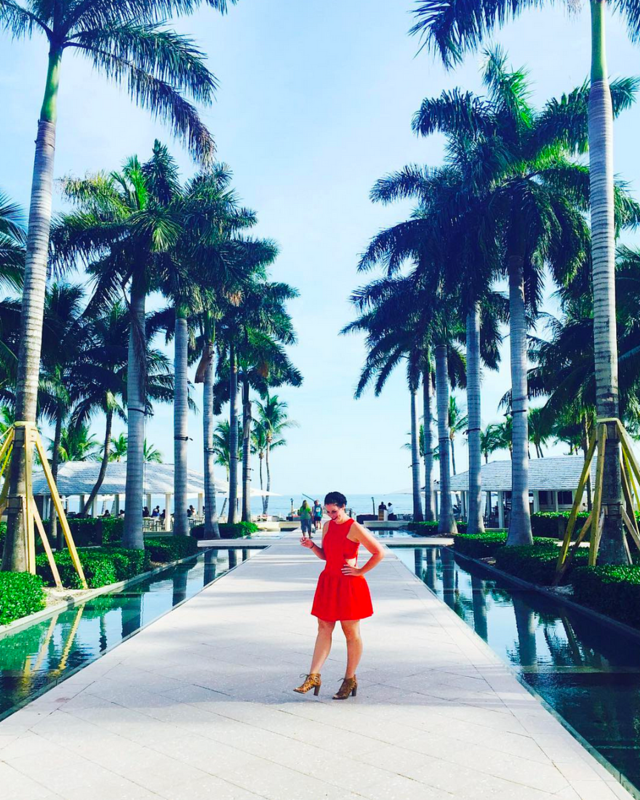 I've been the biggest fan of Rent the Runway now for well over a year and a half. It has changed the shopping game for me. I almost never shop, I just rent. My closet is full of basics like jeans, solid color tops and then the occasional graphic tee. I take chances on styles I would never drop a load of cash on, I wear dresses that are worth thousands of dollars and I have name brand fashion like Kate Spade and Tory Burch at my fingertips. I literally shop every day, but I never have to spend my lifesavings to do it! I feel like I'm the poster child for Rent The Runway, I worship that brand. If you ever have any questions on their unlimited program, holler at your girl! You knew I wouldn't miss this on my list of the best delivery services. If I could put Pizza Hut on automatic delivery for Sunday around 12:30pm, I would. Forget brunch, I'd take Pizza Hut in bed all day every day. Thin crust, pepperoni, extra sauce. Breadsticks if I'm feeling extra sassy. Much like dog food, prescriptions are so annoying to get filled and picked up. It's never quick, you're usually standing in line behind ole Aunt Ella Mae who doesn't understand which of her 48 prescriptions is leaving this weird bubbly rash on her right buttocks, and then all of a sudden you've been in CVS for an hour and a half. I have a heart medicine that I need filled once a month and getting it delivered straight to the door is so easy. I never go without a pill, and I don't have to see Ella Mae. Win win! I hope this post helped you rethink some of your daily needs, and how much easier it would be to just add it as a subscription service!